March 29, 2015 – WrestleMania 31: Ronda Rousey was sitting front row and slapped Stephanie McMahon in a segment involving The Rock. January 28, 2018 – Royal Rumble: Ronda Rousey made a surprise appearance confronting Raw Women’s Champion Alexa Bliss, SmackDown Women’s Champion Charlotte Flair, and Asuka, who had just won the inaugural women’s Royal Rumble match. January 2018: It was revealed that Ronda Rousey have signed a full time WWE contract. February 25, 2018 – Elimination Chamber: Rousey was involved in an in-ring altercation with Triple H and Stephanie McMahon, after which she signed her contract (in storyline), thus making her a part of the Raw brand. February 26, 2018 – RAW: Ronda Rousey demanded a apology from Stephanie McMahon. 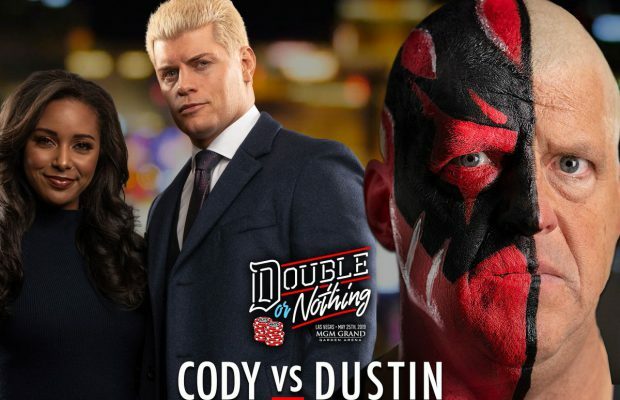 March 5, 2018 – RAW: It was made official that Ronda Rousey will have her first WWE match at WrestleMania 34 teaming with Kurt Angle and facing Triple H and Stephanie McMahon. 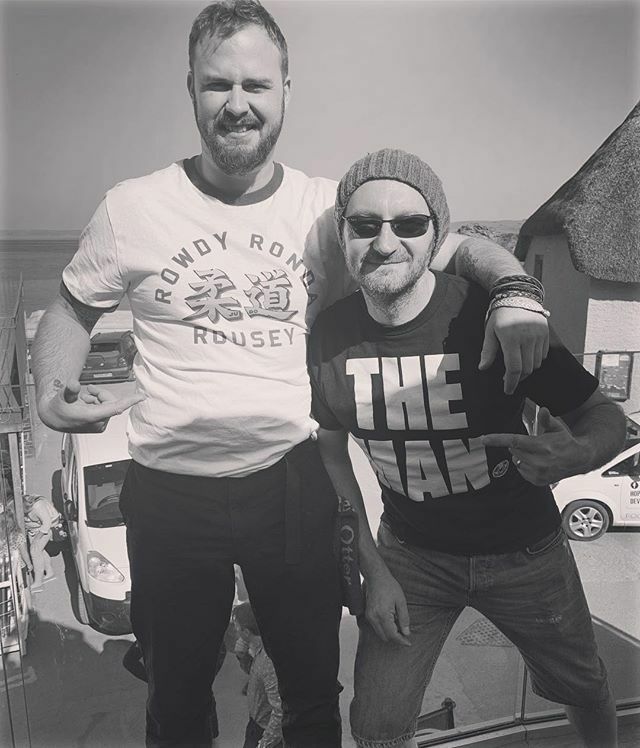 March 26, 2018 – RAW: Ronda Rousey meets Absolution and brawled with them. April 2, 2018 – RAW: Ronda Rousey sends Stephanie McMahon through the table. April 16, 2018 – RAW: Ronday Rousey helps Natalya fend off Absolution. April 23, 2018 – RAW: Ronda Rousey gave Mickie James the armbar. April 30, 2018 – RAW: Natalya w Ronda Rousey defeated Mickie James. May 21, 2018 – RAW: There was a contract signing between Ronda Rousey and Nia Jax for their match for WWE Money In The Bank. June 18, 2018 – RAW: Ronda Rousey got suspended 30 days after launching an attack. July 16, 2018 – RAW: Ronda Rousey violates suspension to brutalize Alexa Bliss. July 30, 2018 – RAW: Returning Ronda Rousey brawls with Alicia Fox and Alexa Bliss. August 6, 2018 – RAW: Ronda Rousey w Natalya defeated Alicia Fox w Alexa Bliss. 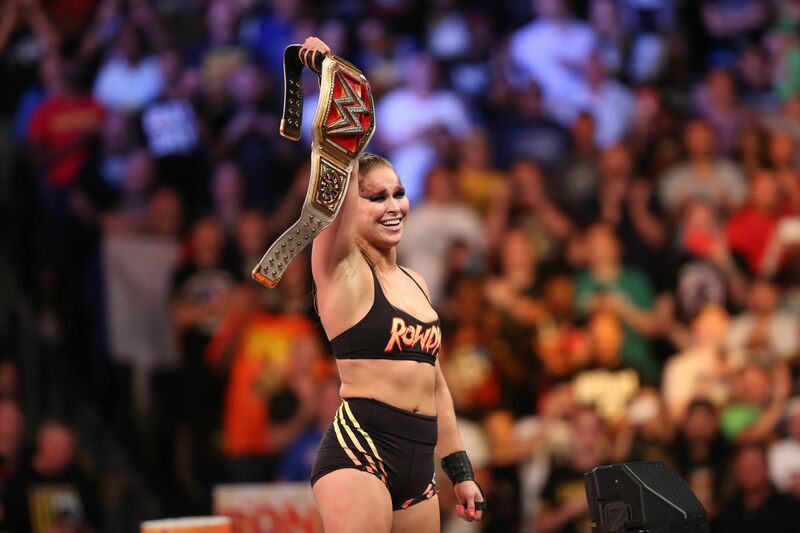 August 19, 2018 – SummerSlam: Ronda Rousey defeated Alexa Bliss to win the women’s title. August 20, 2018 – RAW: Ronda Rousey locks Stephanie McMahon in an Armbar during title presentation. September 3, 2018 – RAW: Alexa Bliss w Mickie James & Alicia Fox defeated Natalya w Ronda Rousey. September 14-15, 2018 – Live Event: Ronda Rousey defeated Alexa Bliss to retain the women’s title. September 16, 2018 – Hell In A Cell: Ronda Rousey defeated Alexa Bliss to retain the women’s title. October 1, 2018 – RAW: WWE women’s champion Ronda Rousey defeated Ruby Riott w The Riott Squad in a non-title match. October 19, 2018 – Live Event: Nia Jax and Ronda Rousey defeated Alexa Bliss and Mickie James. October 28, 2018 – Evolution: Ronda Rousey defeated Nikki Bella w Brie Bella to retain the women’s title. November 3-4, 2018 – Live Event: Ronda Rousey defeated Nikki Bella to retain the women’s title. November 12, 2018 – RAW: Ronda Rousey talks about her match vs Becky Lynch at Survivor Series. November 18, 2018 – Survivor Series: WWE RAW women’s champion Ronda Rousey defeated Charlotte Flair in a non-title match. Charlotte Flair brutally attacked Ronda after the match. November 19, 2018 – RAW: Ronda Rousey talked about Charlotte Flair’s action last night and still wanted a fight, in which Baron Corbin said he will defend the title a opponent of his choosing Mickie James. Ronday Rousey defeated Mickie James to retain the RAW women’s title. December 16, 2018 – TLC: Ronda Rousey defeated Nia Jax to retain the RAW women’s title. December 24, 2018 – RAW: Ronda Rousey defeated Natalya to retain the RAW women’s title. December 26-27, 2018 – Live Event: Ronda Rousey defeated Nia Jax to retain the RAW women’s title. January 7, 2019 – RAW: Ronda Rousey was a special guest on A Moment Of Bliss. January 28, 2019 – RAW: Ronda Rousey defeated Bayley to retain the RAW women’s title. So it's official, my 7yr old niece is a @WWE fan. @RondaRousey is her favorite. Niece: she better not fight her cus Ronda gone make her bleed. Lol! @Xoxo_lexilove @RondaRousey Wait what did Lacey botch? I love her work so far!